After the redesign for the 2015 model year, America’s best-selling Ford F-150 has again been updated for the 2018 version. The focus of the 2018 refresh is on the new 3.0-liter turbodiesel V-6 engine. But Ford also updated the gas-sipping lineup. The new standard V-6 engine replaced the old V-6 unit and a 2.7-liter EcoBoost and 5.0-liter V-8 have been tuned for more power. The styling was also under the revision as well as some active safety systems. But Ford is already looking to the future and we won’t have to wait long for new upgrades. It’s not the news that Ford promised the hybrid version of its most popular truck. 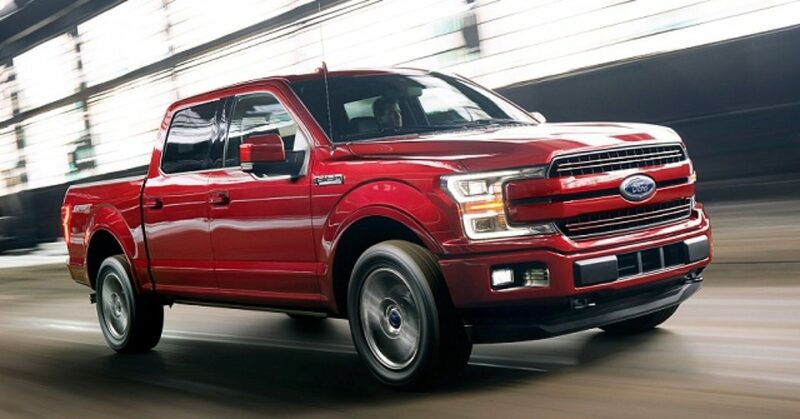 Ford confirmed in early 2017 that the F-150 hybrid will arrive by 2020. The possible scenario is also the 2019 Ford F-150 Hybrid but the hybridized version will more likely arrive sometime in 2019 as the 2020 model. The prototype of the F-150 hybrid hasn’t yet been caught on the road and Ford is also tight lipped about the hybridized light-duty truck. But let’s see what we should expect from this version. Regardless the F-150 Hybrid would arrive as the 2019 Ford F-150 Hybrid or 2020 version, the truck won’t differ much from the outside perspective from the current version. Ford refreshed the front and rear fascias of the 2018 version to align better with recently redesigned Super Duty lineup. The grille of the F-150 now has two horizontal bars on most versions and new headlights are more expressive. The front and rear bumpers are also new. Ford also changed the stampings on the tailgate in each trim. We should not expect, on the other hand, that F-150 Hybrid would look much different than the conventionally powered variants. The difference will be in details like the unique trim pieces, badging, wheel design, etc. Interior of the F-150 has also been refreshed for the 2018 model year. The truck can be equipped with top-notch tech and safety features but also offers upscale leather interiors and attractive real wood and other accents. The latest infotainment system is available and digital information display but most variants have big controls and dials as well. The model also offers a huge number of customization options and additional packages and of course three cab styles and different bed lengths. The hybrid version will share similar interior design and won’t likely come in all trim variants and all cab and cargo bed options. The model will have the latest infotainment system and safety equipment plus additional details about important parameters on driver’s information display and center screen. Ford hasn’t revealed many details about the hybrid powertrain of the F-150. Ford said, however, that the hybrid powertrains will use the turbocharged engines. Now, Ford’s hybrid models use four-cylinder engines in the combination with the two-motor hybrid system. However, for the truck application, Ford will likely combine the two-motor system with the EcoBoost V-6 engines. We won’t be surprised, however, if Ford introduces the four-cylinder engine for this application. In any case, the total power output will be much above 300 horsepower. The fuel economy will also go up for a few mpg while the towing capacity will be slightly reduced. If Ford surprises us with the 2019 Ford F-150 Hybrid, the model would likely come in early 2019. However, the more probable scenario is a late 2019 or early 2020 as the 2020 model. The price will be higher than on respective conventionally powered models but we should think also on the improved fuel economy and price benefits during the exploitation.